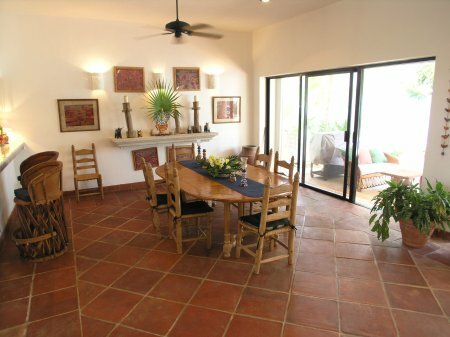 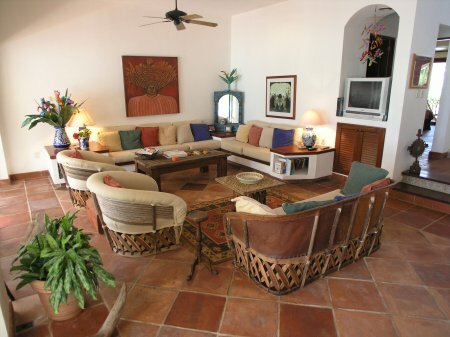 Villa Los Primos, with over 5,000 square feet of living space, featuring comfortable furnishings, original oil paintings, regional Mexican antiques and a number of exterior terraces and patios, Los Primos is elegant and classic, a villa in the truest sense! 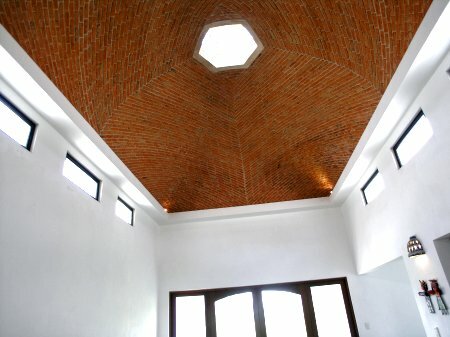 The grand entrance foyer, heightened by a second floor balcony, welcomes all with a lovely interior garden area, and is crowned with an impressive domed brick ceiling. 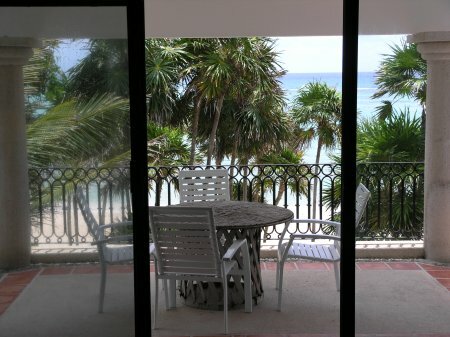 From the foyer, step down into the sunken living room and dining area; a perfect place to entertain or just relax, enjoying the views of the beach side pool, the crisp white sand and the beautiful Caribbean, through the wall of glass sliders spanning the entire length of the living space. 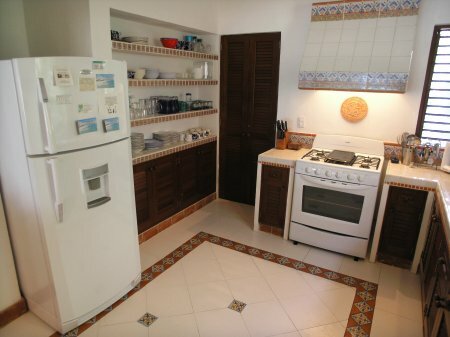 The large, well-equipped kitchen is just to the left and has a breakfast bar opening to the dining area with seating for two. 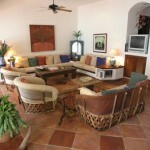 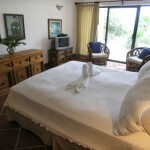 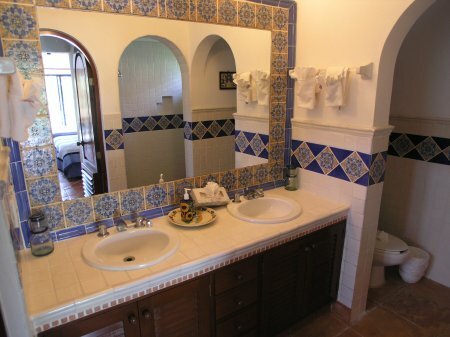 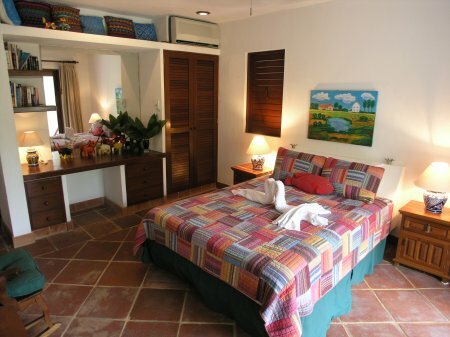 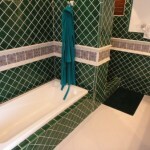 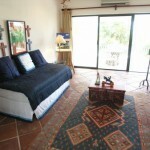 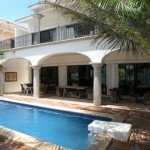 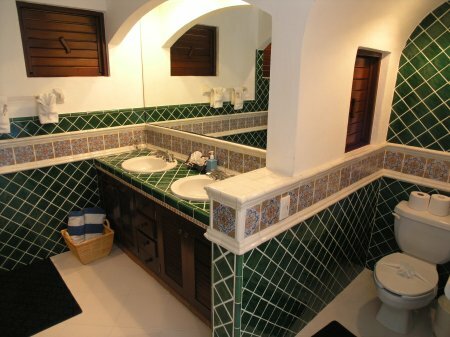 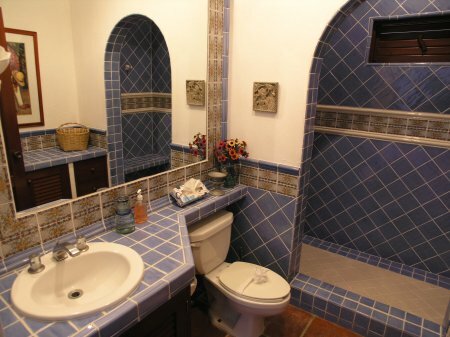 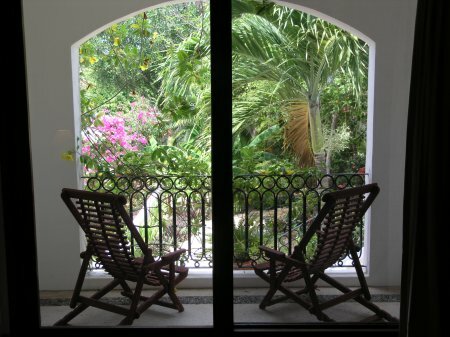 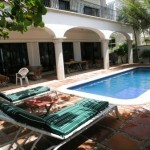 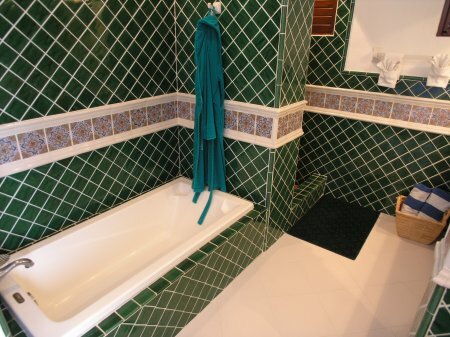 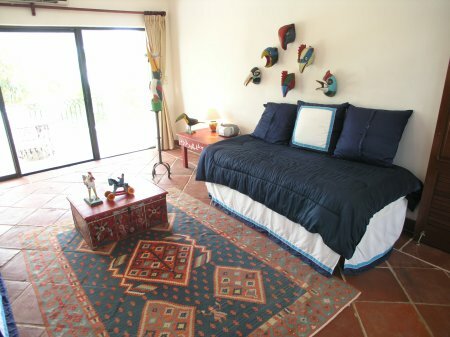 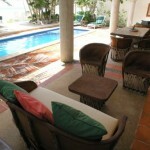 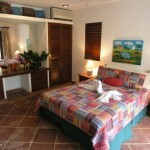 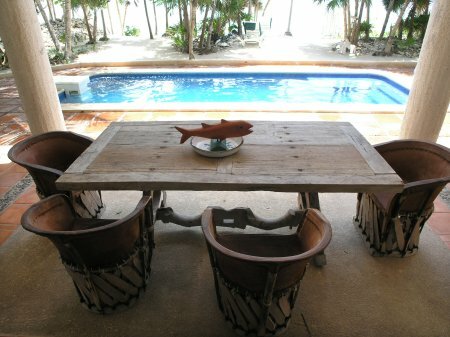 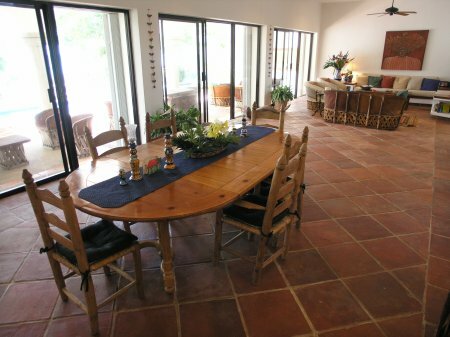 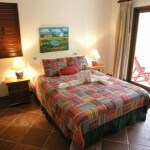 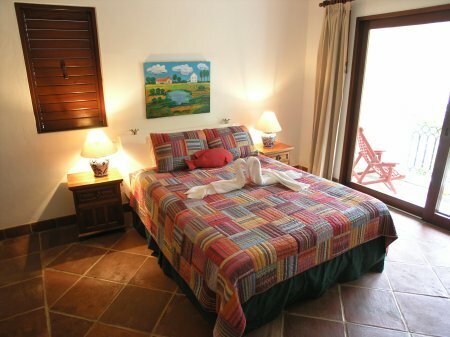 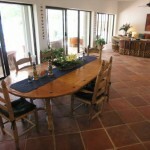 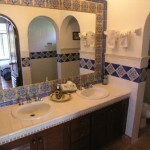 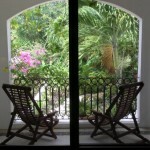 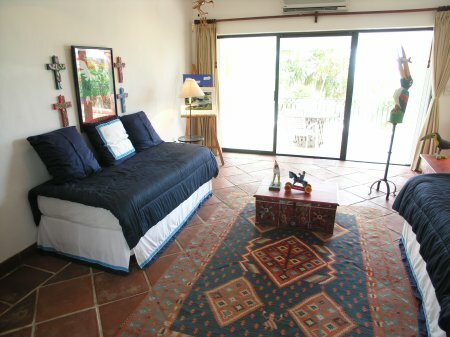 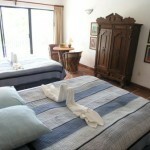 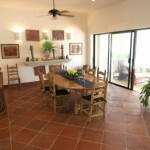 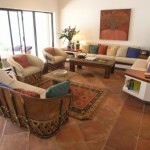 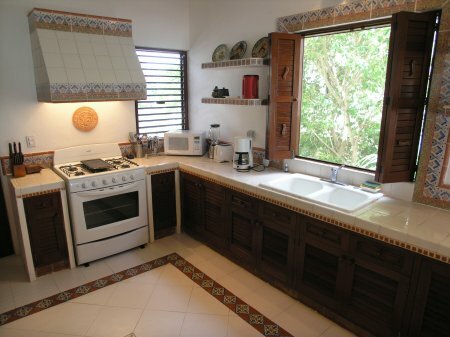 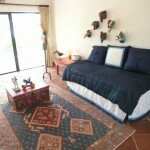 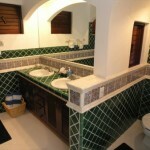 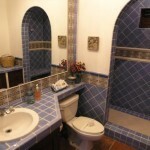 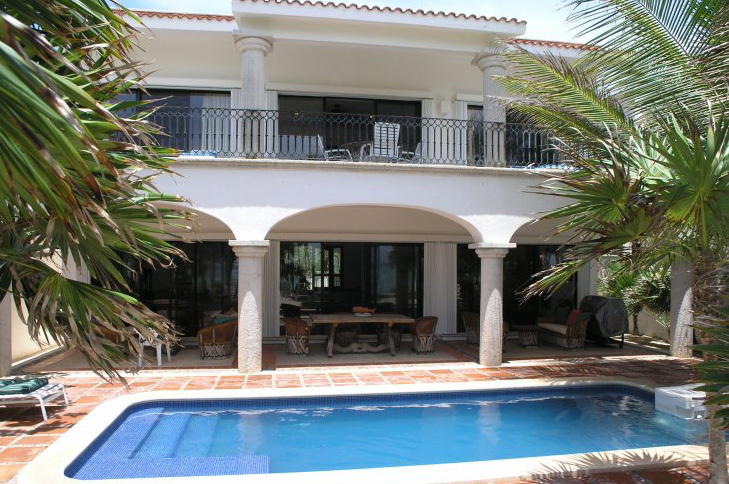 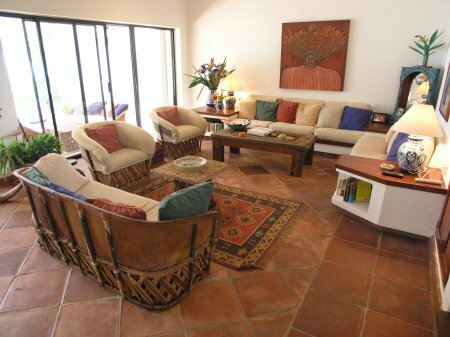 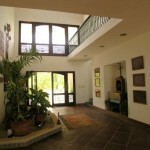 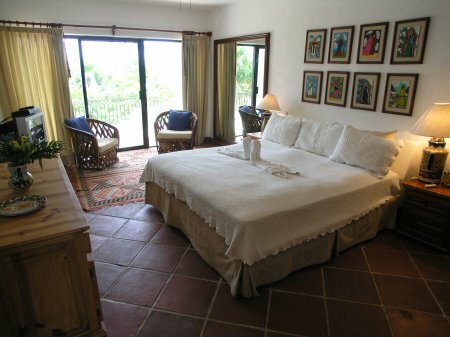 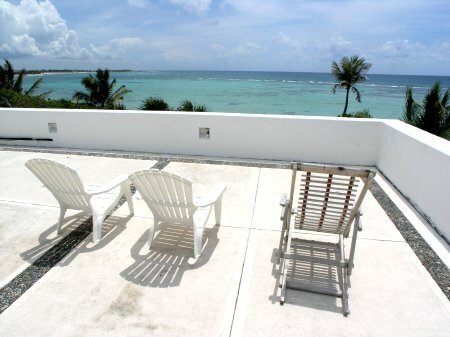 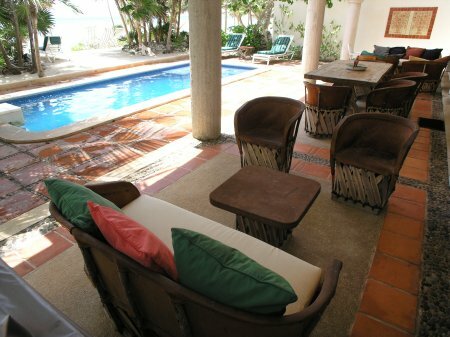 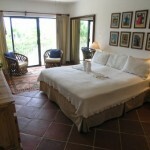 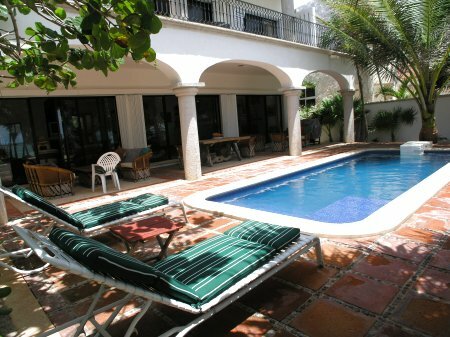 The villa has four air-conditioned bedrooms, three upstairs and one downstairs. 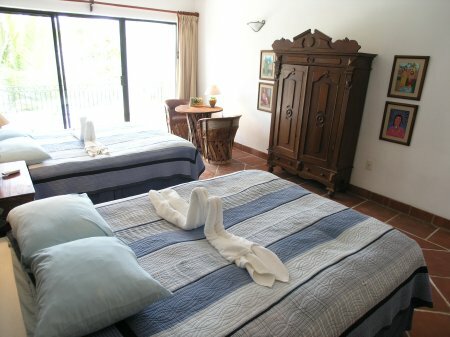 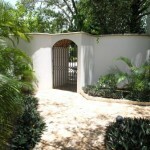 The downstairs guest bedroom has a queen size bed, private bathroom and a private garden view patio. 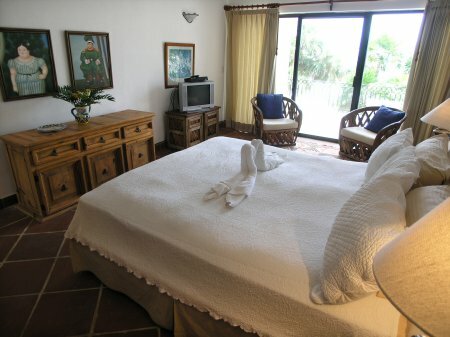 The master bedroom is upstairs, on the ocean side, and has a king size bed, private en-suite bathroom with double vanity and access to the huge seaside balcony overlooking the pool and the Caribbean. 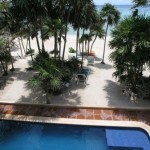 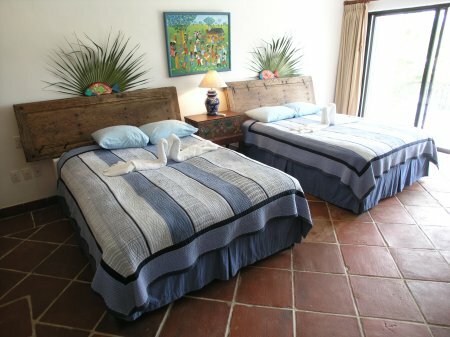 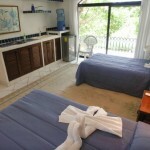 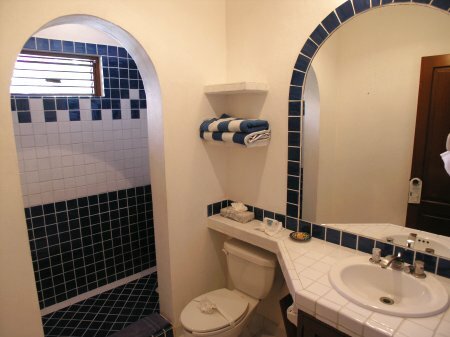 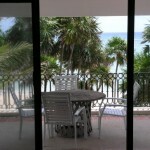 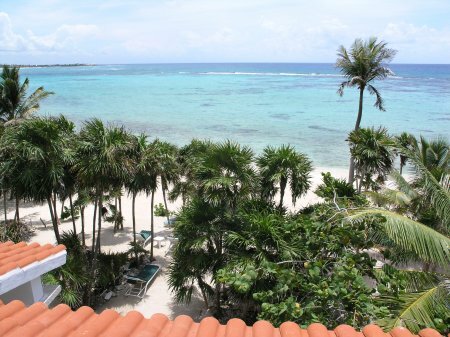 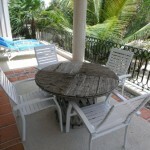 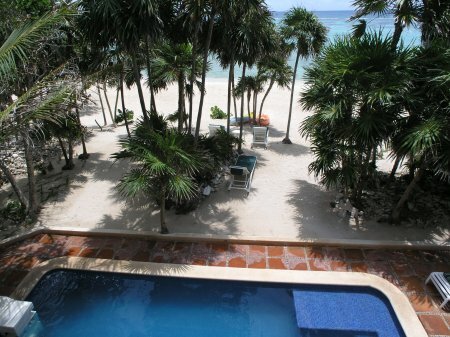 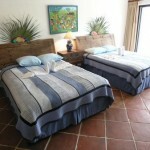 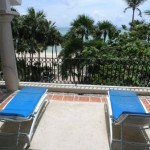 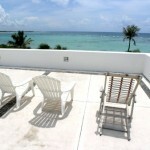 Another upstairs bedroom has two queen size beds, shared bath and direct access to the beach side balcony. 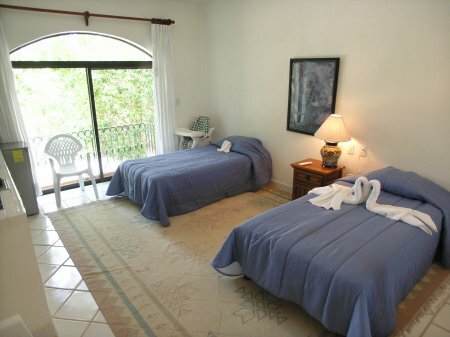 Between these two bedrooms is an open studio/bedroom with two twin beds that can be made into a king bed, louvered doors that can be closed for privacy and also has access to the ocean side balcony. 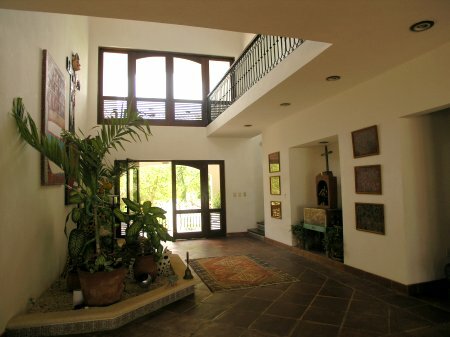 The second floor interior balcony opens to a garden side exterior terrace with a stairway to the rooftop observation/sun deck. 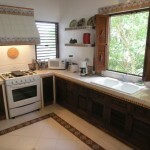 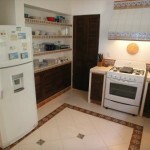 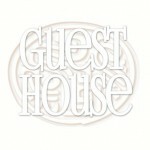 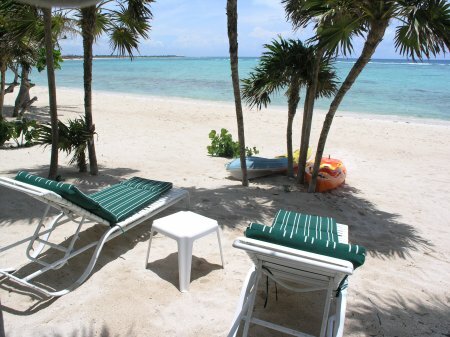 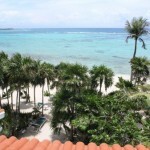 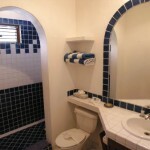 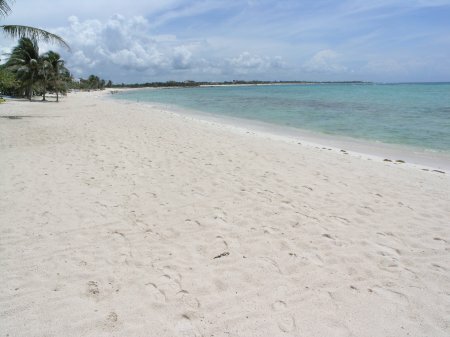 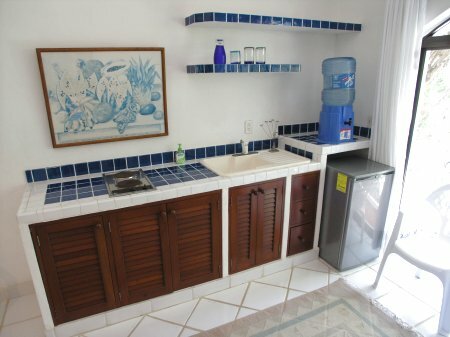 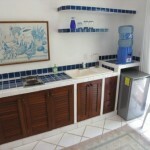 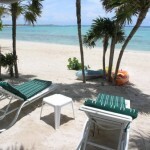 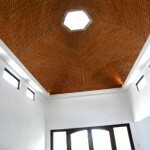 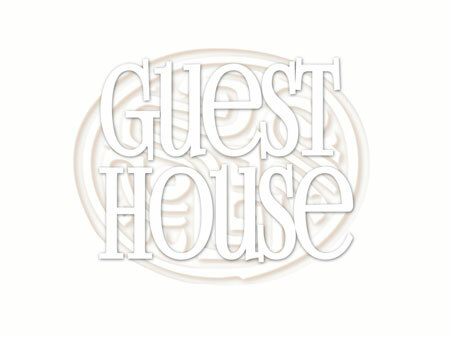 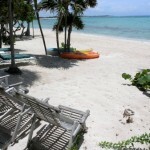 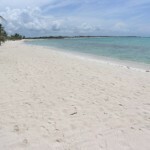 There is a separate, air-conditioned guesthouse with two twin beds, kitchenette and private bath. 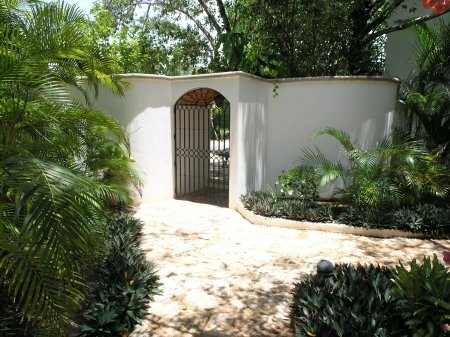 This is located on the garden side of the property right next to the main house and is great to have when traveling with a larger group of people. 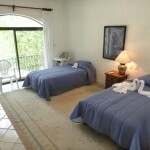 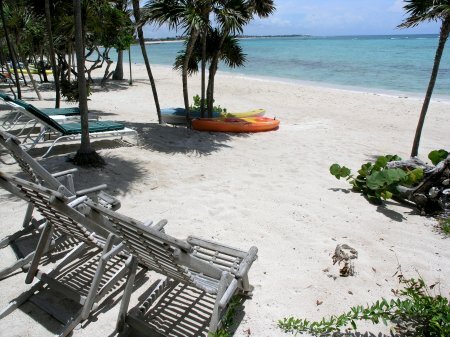 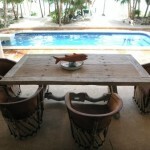 Add $500 per person ($250 for children 9 and under) over base occupancy of 10 guests *. 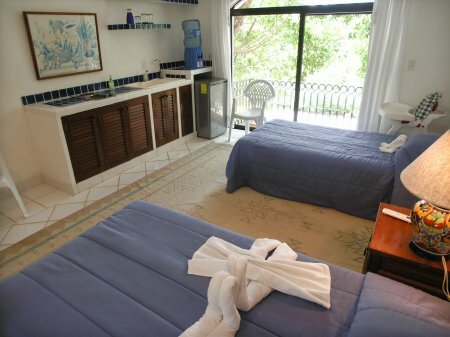 Max Occupancy: 10 Adults and 2 Children.